FRIDAY SATURDAY SUNDAY Students arrive by bus, train, They spend the next 24-36 Students demo projects and plane. They pitch ideas hours intensely focused on science-fair style. The top and form teams organically building and designing their hacks demo on stage in front and get straight to work on hack projects. There are breaks of the audience and a panel of bringing their ideas to life. for meals and fun mini-events. judges to determine a winner. 80,000 Students just like you. The sponsors The world’s top brands participate as sponsors at our hackathons. Many sponsors send mentors and recruiters. Why Should you Organize A Hackathon? how long does it take to plan a hackathon? View How to throw a hackathon. on Notist. 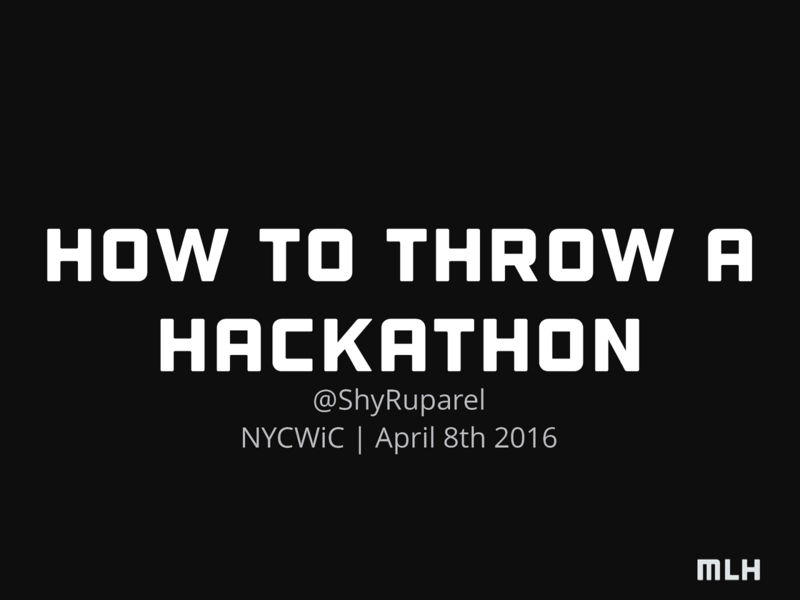 In this talk, I run down how to organize and throw a hackathon.